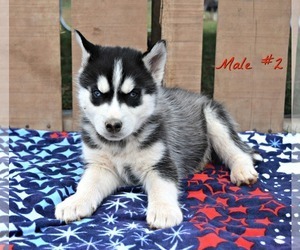 Lilo is a grey and white husky with quite the energetic personality. She loves to go on walks and cuddle. She's great with meeting new people and has no signs of aggression. She is a great dog for those that love to go on walks and cuddles. If interested I have plenty more pictures I can send. 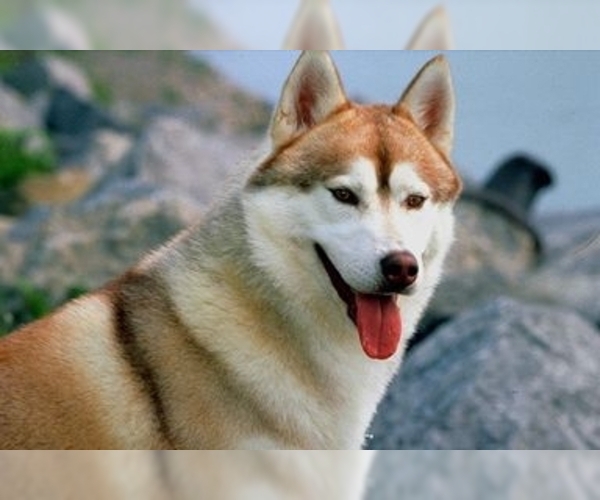 Overview: The Siberian Husky is very similar in looks to the Alaskan Malamute, yet somewhat smaller in build and not quite as bold. Still, he needs a strong-willed owner who will stay in control. This dog loves to roam and explore, so he needs a nice big yard. Colors: All colors from black to pure white. Coat: Coat is double-layered and medium-length. The guard hairs of the outer coat are straight and somewhat smooth lying. The undercoat is soft and dense and of sufficient length. Character: Siberian Huskies are not particularly good watch dogs, because they want to befriend everyone they meet. They love to roam and are full of energy and independence. Temperament: This breed gets along well with other Huskies, but they need to be trained carefully if they're to be kept with other household pets. They will not get along with cats or other small animals, though they do well with children. Care: Its coat needs brushing one or two times a week, daily during periods of heaviest shedding. Training: This breed is very intelligent and independent. Handlers should take this into consideration and use patience and understanding during training. Activity: The Siberian Husky needs to be involved in physical activities and requires a well-fenced yard. If they are not kept active, they can be very destructive and noisy. Health Issue: This breed is relatively healthy, but some have heart disease and eye problems, along with dermatitis.